Find out why there’s beauty in an empty chair. Are we handing weapons over to our enemy? Sin is real, addictive, and dangerous. You need a battle plan. Jesus offers a platter of truth about our identity. Why do we choose the junk instead? Pray this prayer with us: Lord, give me an undivided heart. The door to your freedom is standing wide open. Charlie, Charlie: Contacting a Demon or an Innocent Game? Maybe you’ve heard about the latest “game” that’s captured teens’ hearts around the world. But have you stopped to ask what God thinks about “Charlie, Charlie”? I’ve spent most of my Christian life convinced God was mad at me and terrified of the punishment He would hand down. 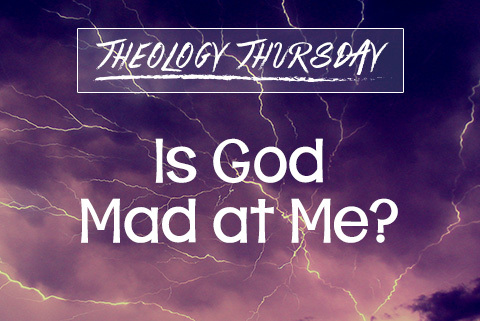 But lately I’ve been challenged to go to the Word for the answer to this big question: Is God mad at me? Here’s what I’ve found. Need a friend who prays for you, gives great advice, and is available 24/7? We’ve got someone to introduce you to.